Temperance is a nice quiet community anyone would be proud to call home. Although it is in Michigan, Temperance is still a vital part of the Greater Toledo Area. Because we aim to serve the entire Greater Toledo Area, Temperance is a frequent destination for Rooter Right service trucks. 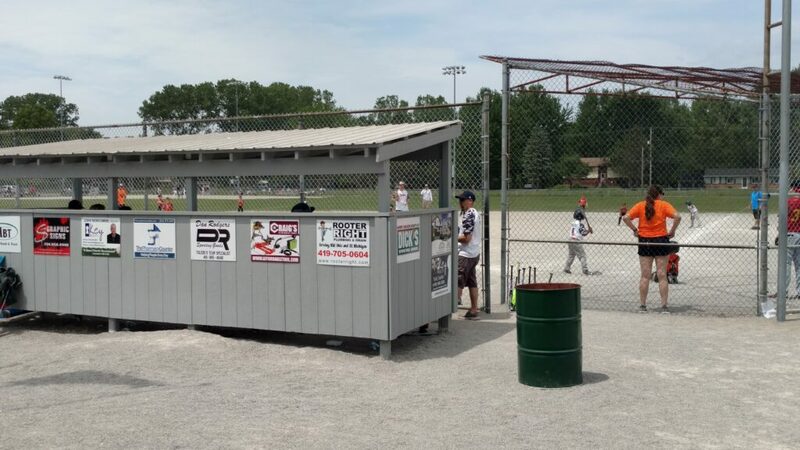 Though Michigan and Ohio do things a little different when it comes to Plumbing, the technicians at Rooter Right Plumbing and Drain are well equipped to make the transition back and forth from state to state a flawless one. 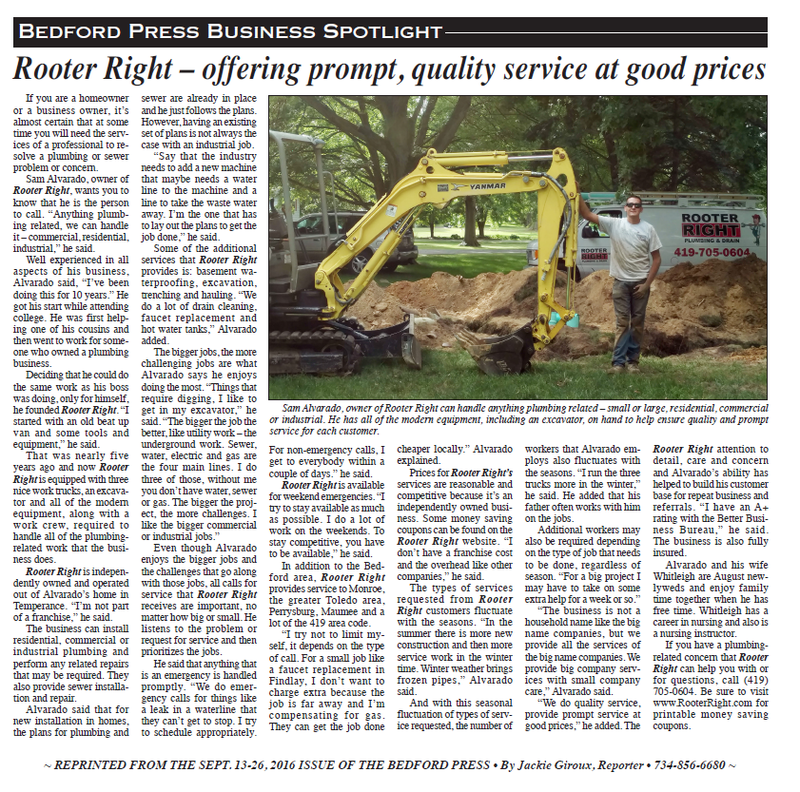 We would love for all of the citizens and business owners in the Bedford Area to consider us their local contractor. Rooter Right was indeed born and bred in Toledo but has since developed deep roots in the Temperance area. 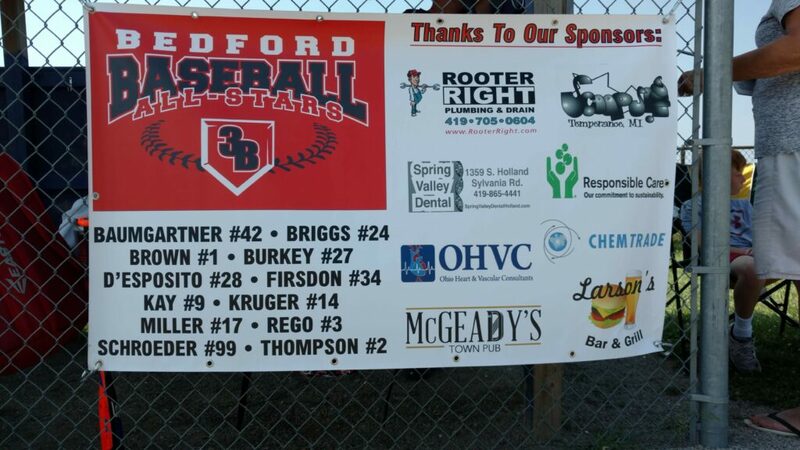 We sponsor the local 3B youth baseball league and were even featured in a Bedford Press article highlighting local businesses. Our address may be across the border but we are always at home in Temperance. Rooter Right offers all the services one would come to expect from a nationwide company, the difference is we are your neighbors and we treat you as such. Let Rooter Right Plumbing and Drain be your first call when you need a hand with your Plumbing Project. Expect the best when you select the best. We are fully Licensed, Bonded, Insured, and have an A+ rating with the Better Business Bureau. All of the work we perform comes with a guarantee and is executed by true craftsman who are always evolving with the trade. Call anytime for a Free Estimate or Consultation. We are also available 24/7 for Emergency Services.